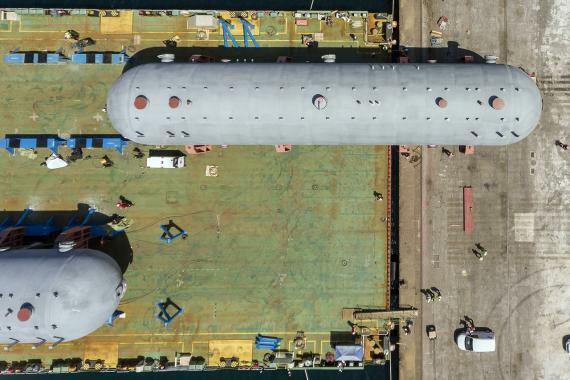 "ETM (Engineered Transport Management) is a methodology where the entire process of a project cargo transport planning and operation is analysed, calculated, developed and managed applying engineering techniques and processes." 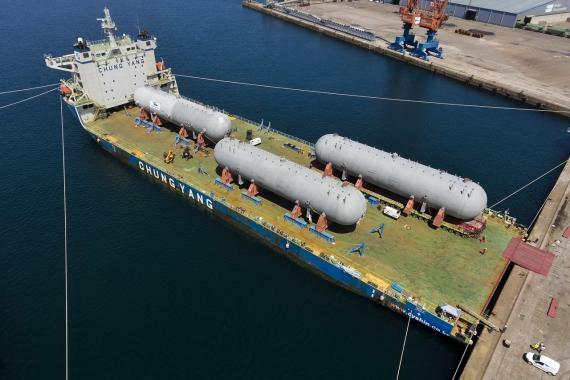 After managing several airfreight transport operations for this project, at the beginning of May, Coordinadora began the transport process of the heaviest pieces entrusted to them: 5 slug gas catchers weighing 2,008 t each. 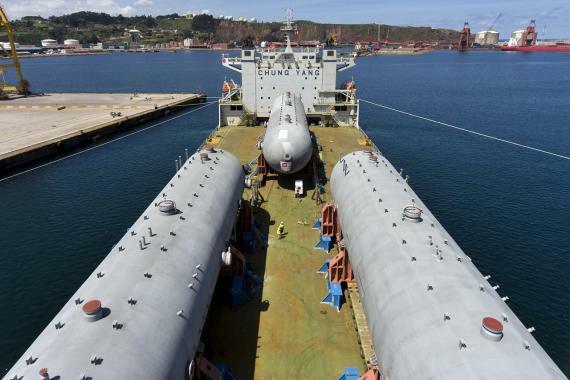 These pieces were transported from Gijón, Spain to Jubail, KSA. 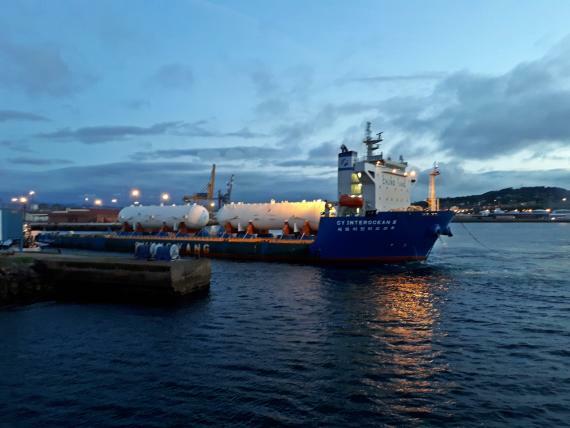 They were carried in 2 shipments, both following the same transportation plan: after travelling approximately one month by sea, they were to be unloaded and carried 95 km by SPMT to Fadhili facilities. Coordinadora is managing the entire transportation process, making sure every detail is taken care of and subcontracting every supplier. 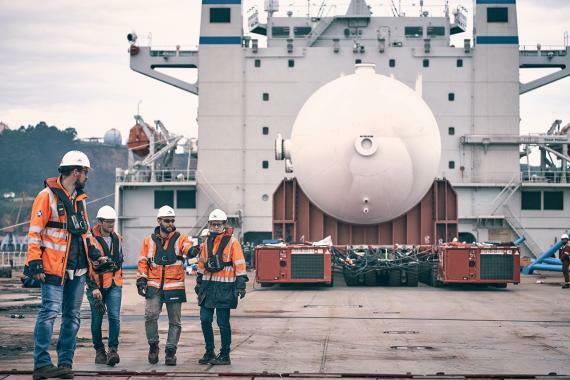 They also followed all stages of the operation on site, requiring the relocation of their team to the port of destination so they could supervise the last part of the transportation up to the plant premises. "This range of services shows our level of commitment and specialisation, and the wide scope that Coordinadora covers."